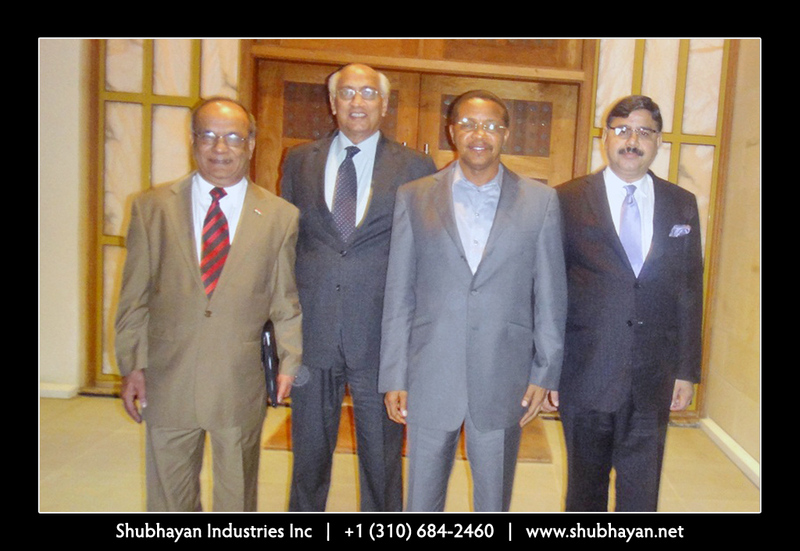 Mr. Udayan Mukherjee discussing proposed projects with the President of the Federal Democratic Republic of Ethiopia H.E.Girma Wolde Giorgis. 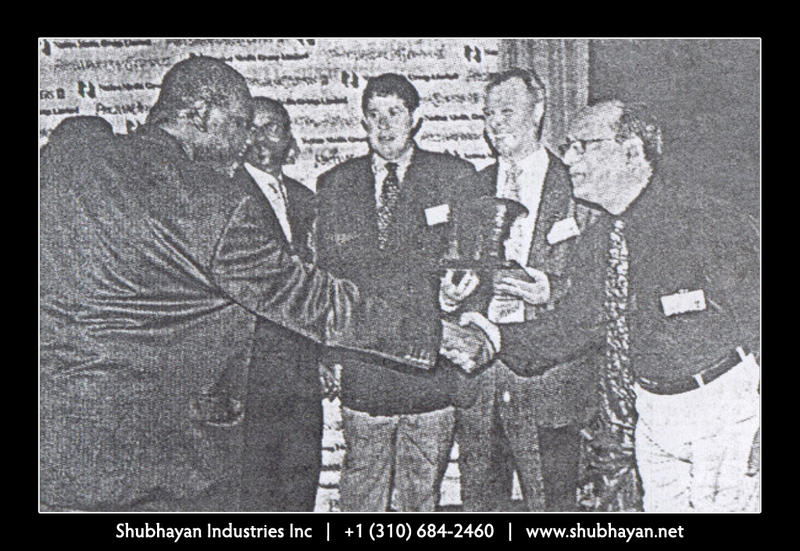 With Rwandan President H.E. Paul Kagame. 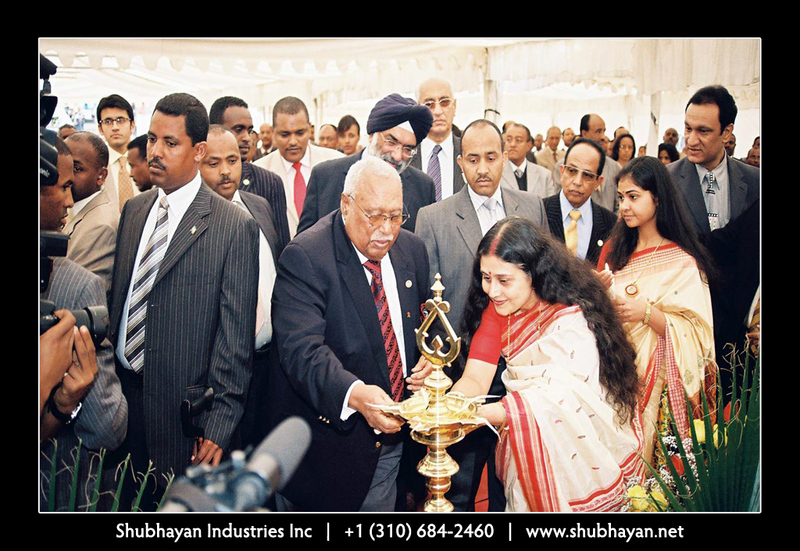 Mrs. Rajasree Mukherjee assisting the President of Ethiopia in lighting the ceremonial lamp at the inauguration of a Charity project. 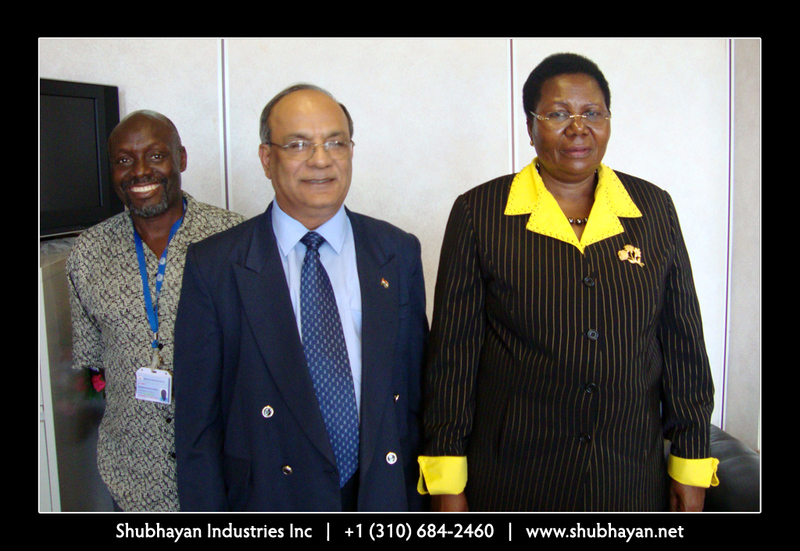 Mr. Udayan Mukherjee discussing Infrastructure Project financing with Uganda Minister of Finance, Planning and Economic Development Ms. Syda Bumba. 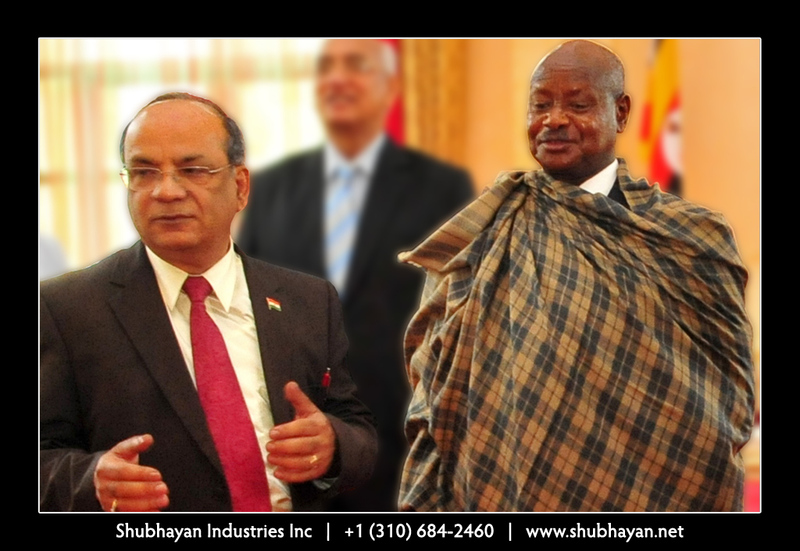 Mr. Udayan Mukherjee discussing proposed Energy Projects with Uganda Minister of Energy Hon Mr. Hilary Onek. 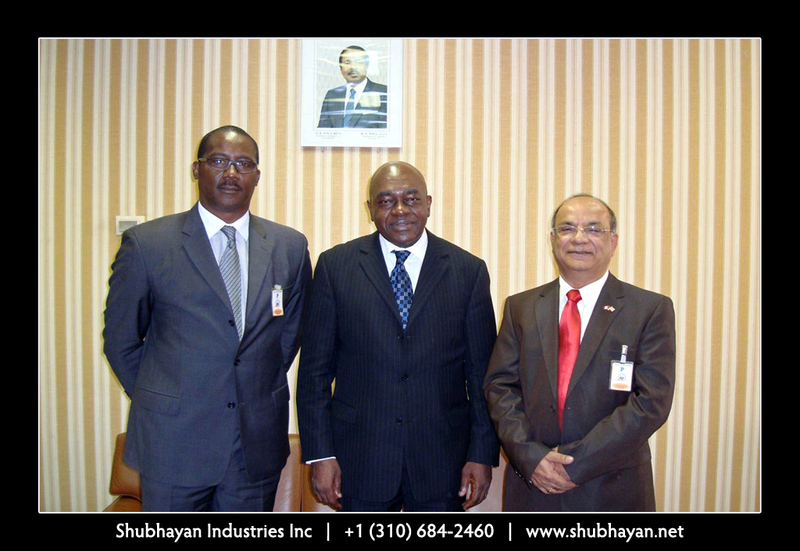 Mr. Udayan Mukherjee at the Office of the President, in Yaounde discussing Cameroon projects with Mr. Christian Ekoka Chief Advisor to the President of Republic of Cameroon. 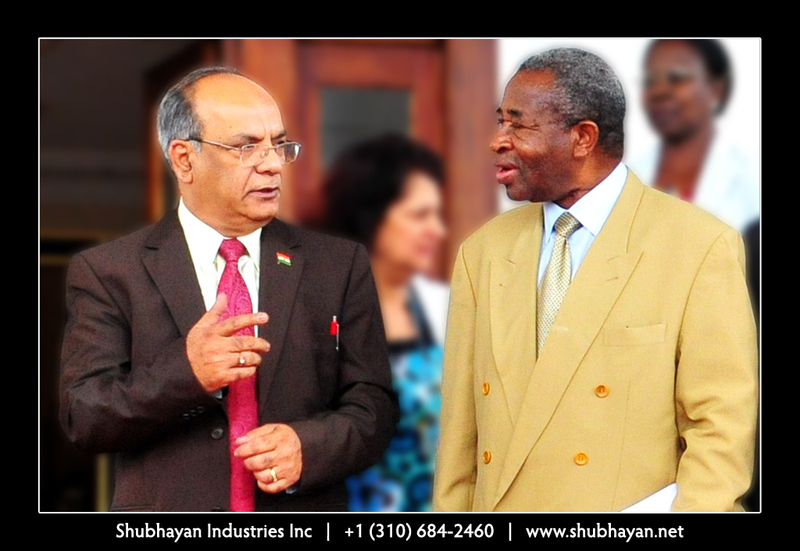 Mr. Udayan Mukherjee seen with the Zambian Minister of Transport in Lusaka in connection with the Lusaka Metrorail project. 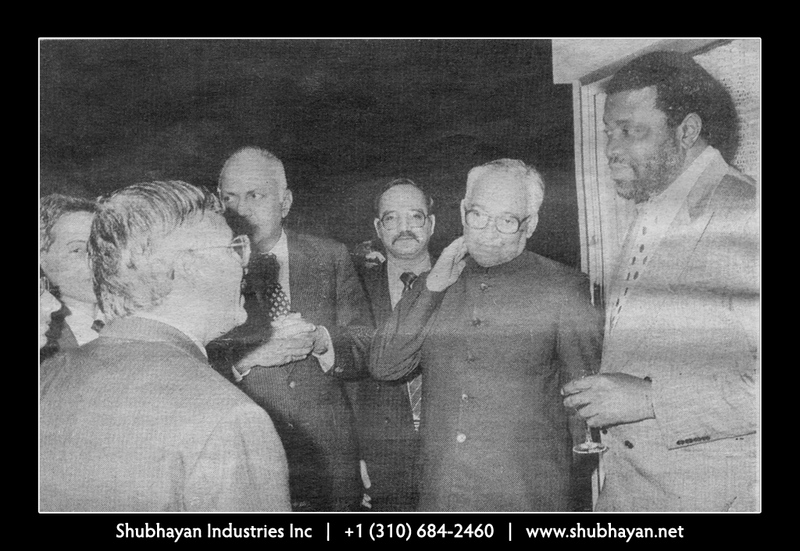 Mr. Udayan Mukherjee member of the first Indian Trade delegation to Namibia after their Independence, seen with Namibian Prime Minister Hage Geingob. Mr. Udayan Mukherjee is congratulated by the Managing Director of Unilever Tanzania on his company winning the Price Waterhouse award. 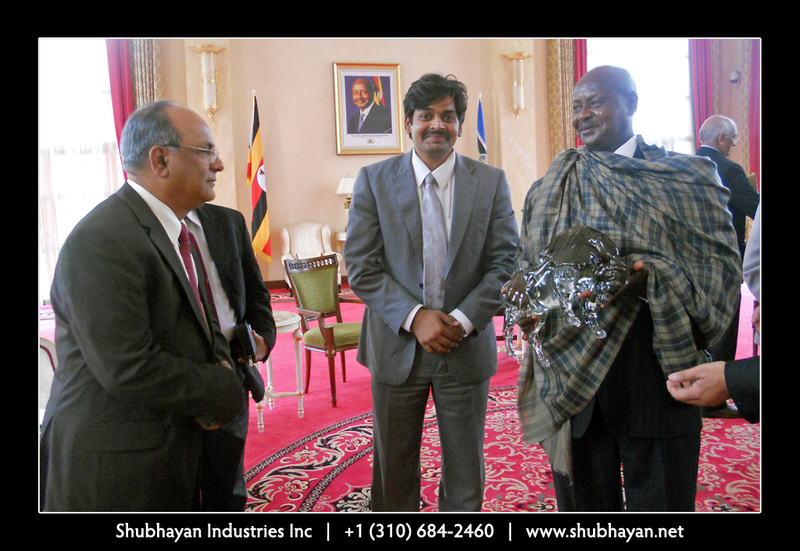 Mr. Udayan Mukherjee in one of his meetings with the President of Uganda. 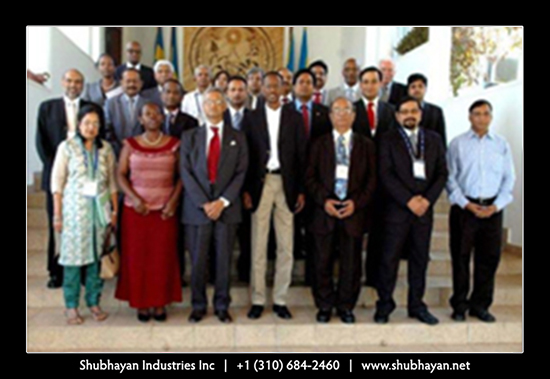 Mr. Udayan Mukherjee with members of Indian business delegation at a meeting with President of Tanzania H.E. Jakaya Kikwete in Daressalaam. 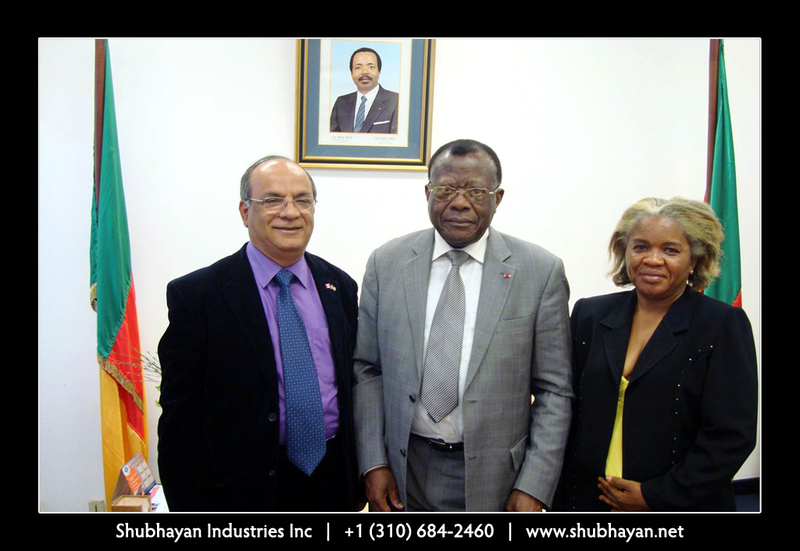 Mr. Udayan Mukherjee in a meeting with the Cameroon Minister for Lands in connection with Low Cost Housing Project. View of the partially completed Low and Medium Cost Housing Projects. 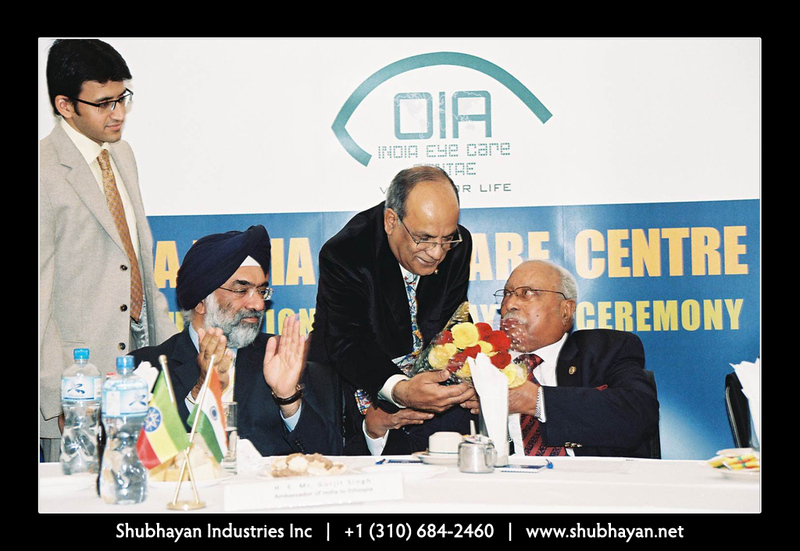 Mr. Udayan Mukherjee signs a Memorandum of Understanding with the Head of Addis Ababa Health Bureau for a Charitable Eye Care Center to be set up in Addis Ababa in presence of Ethiopian State Minister of Health, Hon Kebede Worku & Indian High Commissioner Mr. Gurjit Singh. Mr. Udayan Mukherjee felicitates the President of Ethiopia the chief guest at the foundation stone laying function of the Eye Care Centre Project. 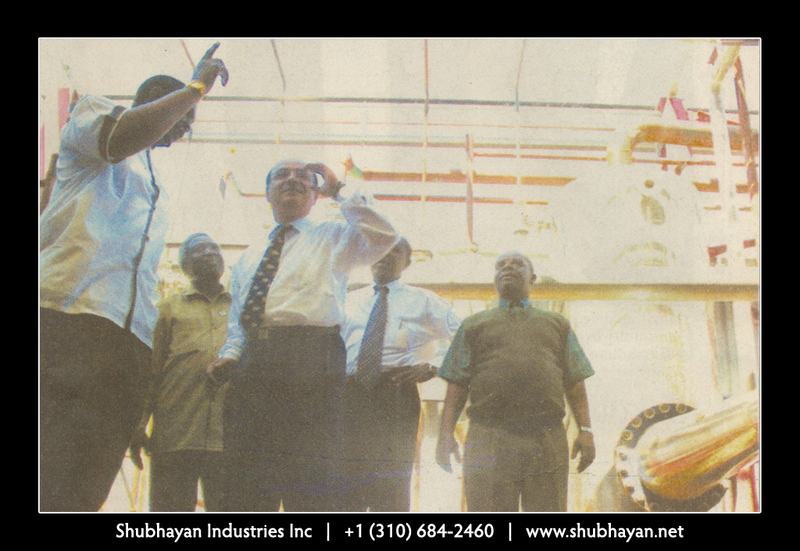 Mr. Udayan Mukherjee accompanying a Tanzanian Parliamentary delegation on an inspection tour of the Edible Oil Refinery under construction. 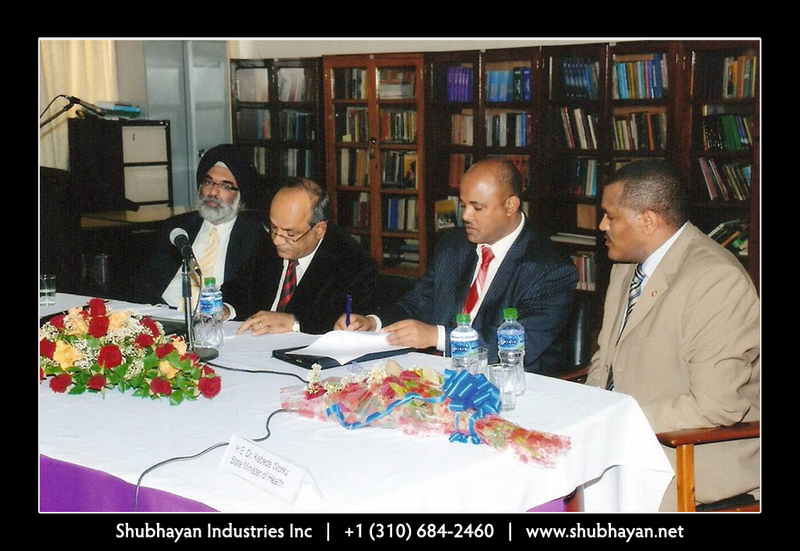 Mr. Udayan Mukherjee signs a contract for survey of a new railway corridor with Dr. Getachew Betru CEO & General Manger of Ethiopian Railways Corporation. 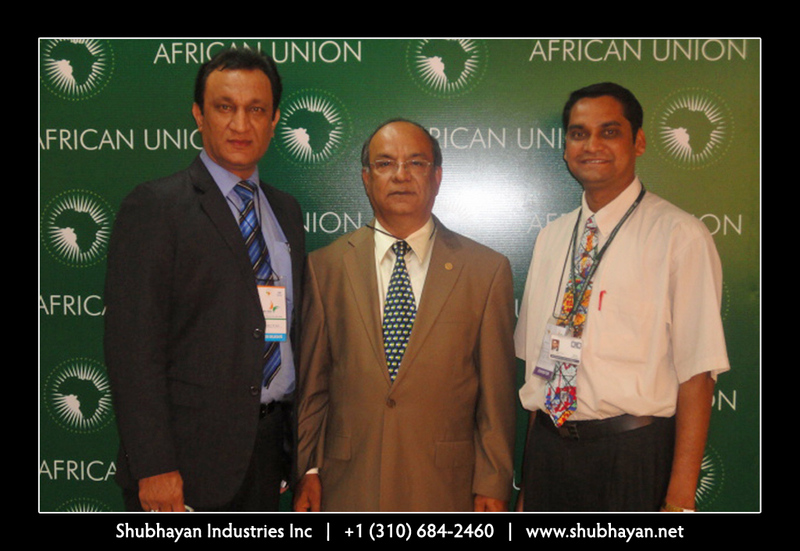 Mr. Udayan Mukherjee during the African CEO conference organized by the African Union. 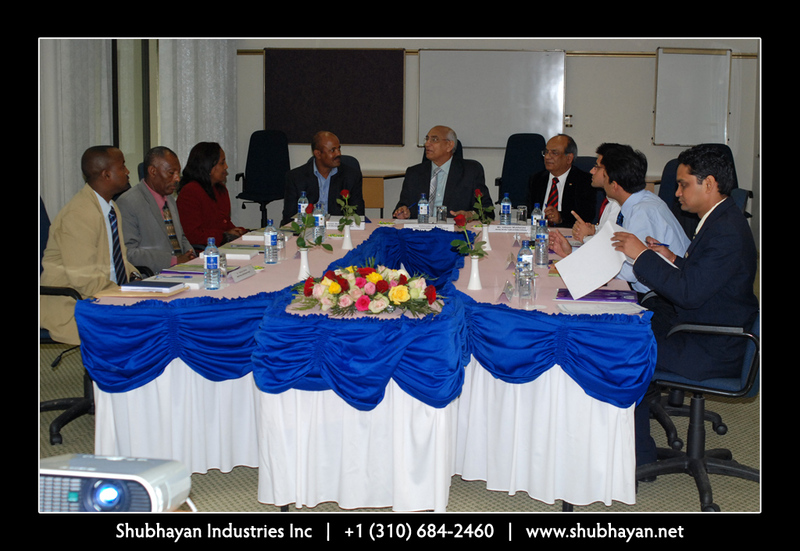 Mr. Udayan Mukherjee, Chairman of the Board of Trustees of the Health & Welfare Charity, conducting the first Board Meeting. 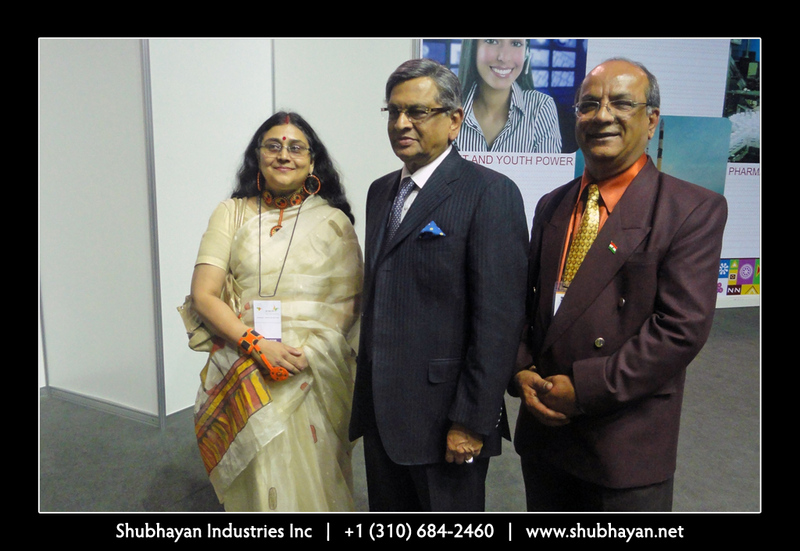 Mr. Udayan Mukherjee & Mrs. Rajasree Mukherjee with Hon. Mr. Justice Philip Ransley Chairman of Fund Raising Committee of the Nairobi Hospice at one of several charity events organized by the Mukherjee’s Ma Sharda Charitable Trust in aid of Nairobi Hospice. 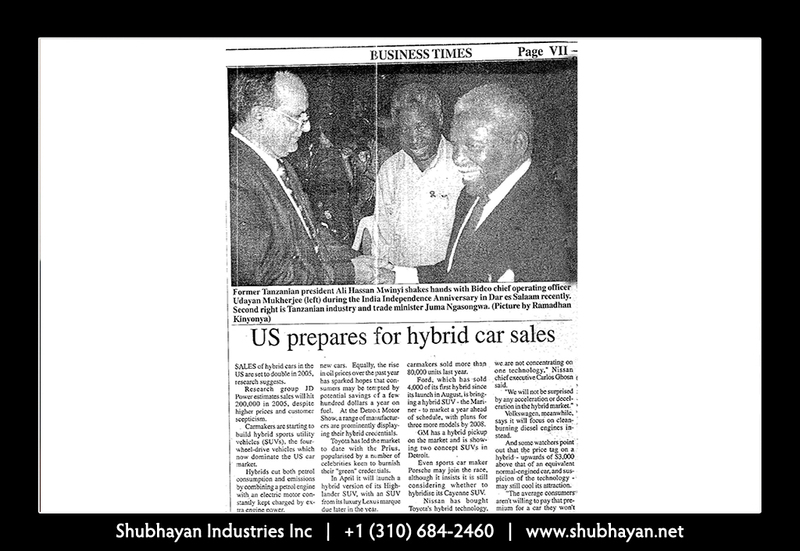 Mr. Udayan Mukherjee at a press conference along with the Daressalaam Regional Commissioner, prior to his successful launching of the first ever private sector bond issue at the Daressalaam Stock Exchange. The issue was oversubscribed. British Ambassador Extraordinary and Plenipotentiary to Ethiopia, H.E. 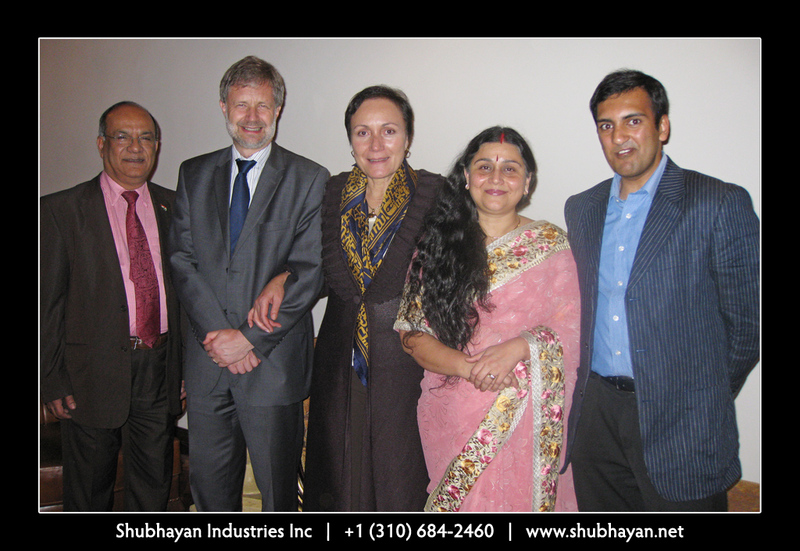 Norman Ling and his wife Selma with Mr. Udayan Mukherjee & Mrs. Rajasree Mukherjee at a special event. 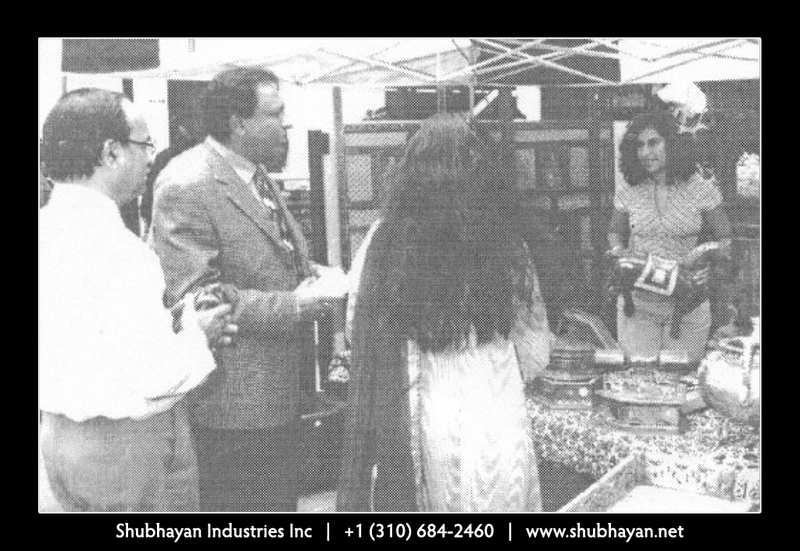 Mr. Udayan Mukherjee who organized a special India Bazaar Exhibition in Nairobi Kenya on the occasion of the Golden Jubilee Celebrations of India’s Independence seen escorting the Indian High Commissioner to Kenya Mr. T. P. Sreenivasan at the exhibition. 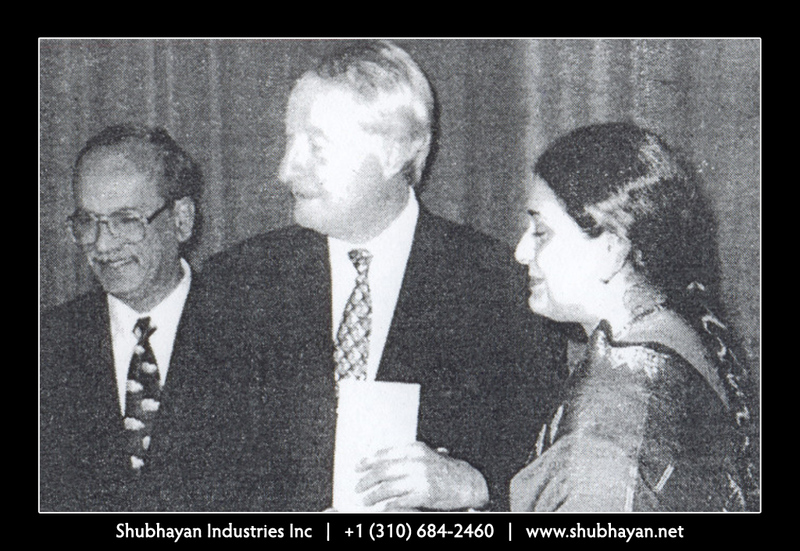 Mr. Udayan Mukherjee & Mrs. Rajasree Mukherjee waiting to greet the Prime Minister of India Dr. Manmohan Singh. 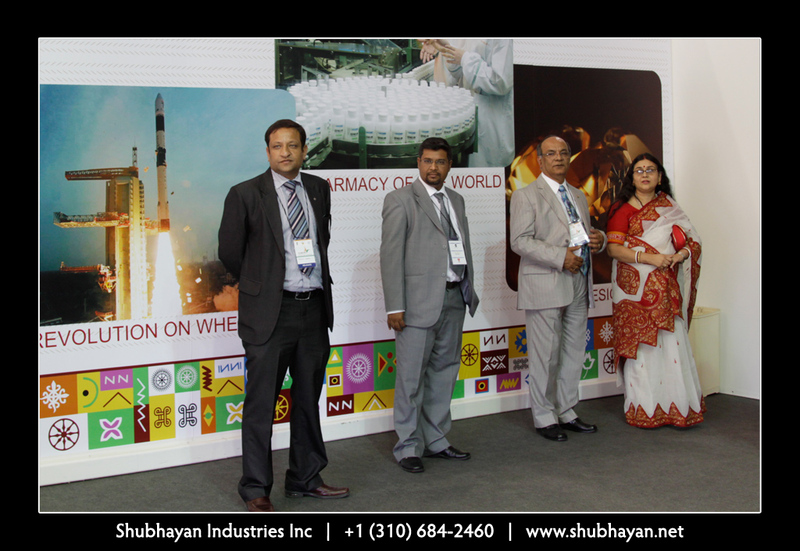 Mr. Udayan Mukherjee at a felicitation function for successful participants of Enterprise Development Program. 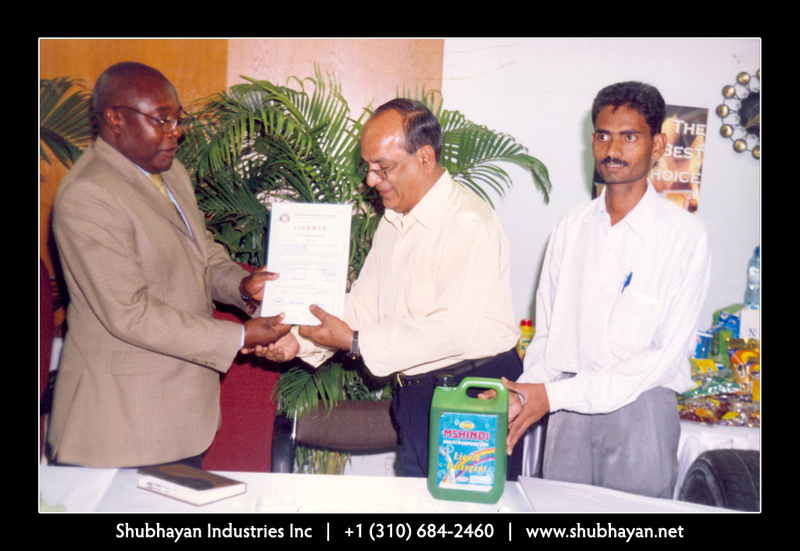 Mr. Udayan Mukherjee receiving the coveted Diamond Mark of Quality from the Head of Tanzania Bureau of Standards for extra strong Liquid Soap developed at the manufacturing unit. 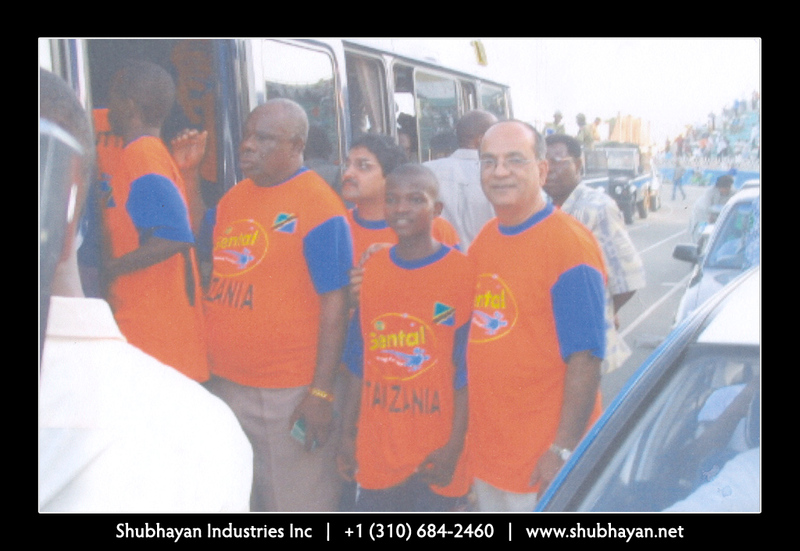 Mr. Udayan Mukherjee dons the colors of one of Tanzania’s top football team sponsored by his company. 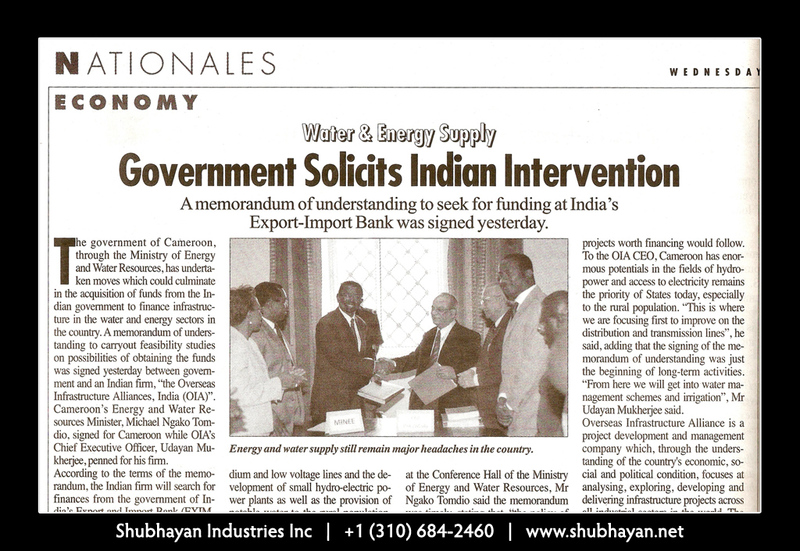 Mr. Udayan Mukherjee signing an MOU with Cameroon Energy Minister in Yaounde for Cameroon Rural Electrification Project. 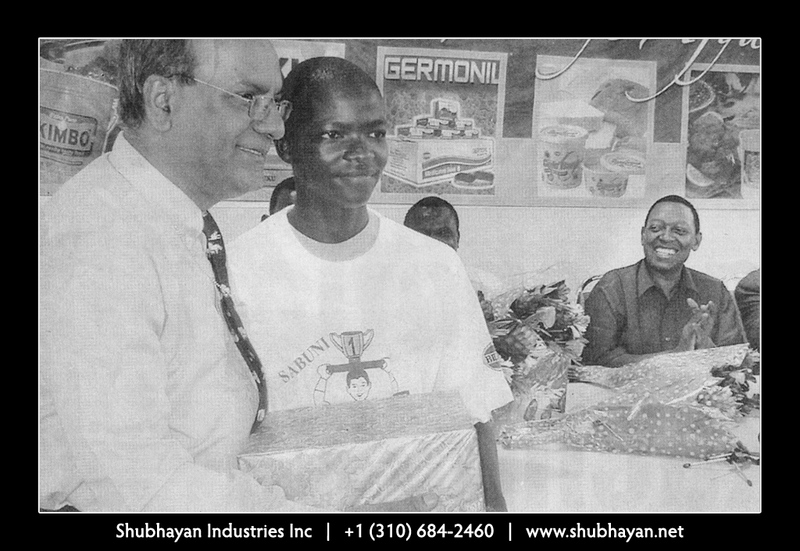 Mr. Udayan Mukherjee CEO of MARSAVCO sole manufacturer of Unilever products in Dem Republic of Congo at their Small Enterprise Development center. 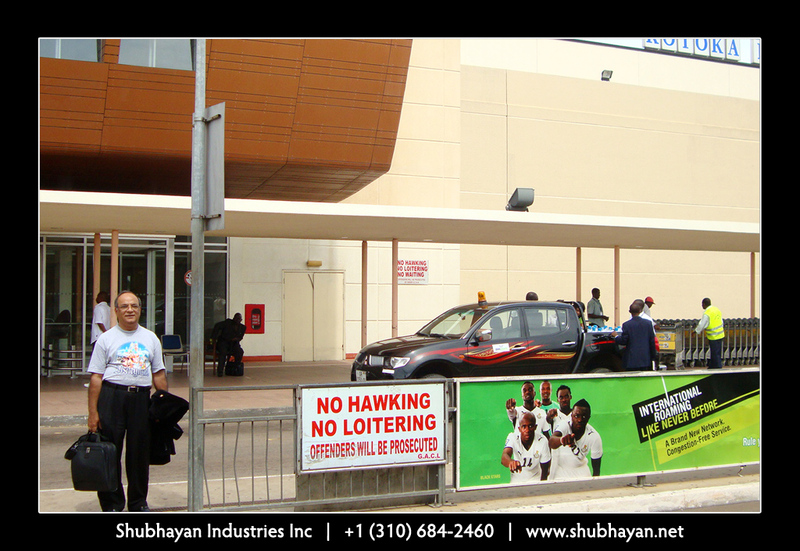 Mr. Udayan Mukherjee arriving at Kotoka International Airport Accra airport for meetings with the Ghana Ports & Harbors Authority. Mr. Udayan Mukherjee with Miss Gambia, Miss Nigeria & Miss Senegal at a West African Beauty Contest. 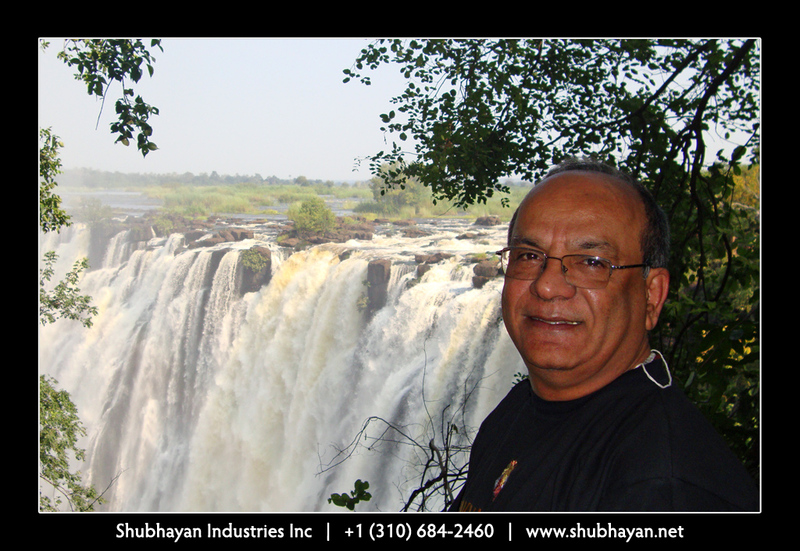 Mr. Udayan Mukherjee visiting the Victoria Falls on the Zambia/Zimbabwe border to study potential hydropower projects. 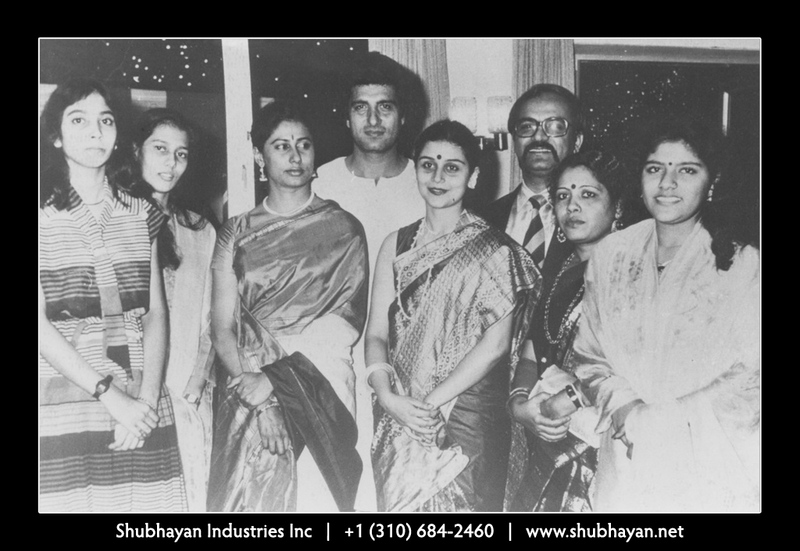 Mr. Udayan Mukherjee & Mrs. Rajasree Mukherjee with Film stars Mr. Amitabh Bachchan, Ms. Rekha, Mr. Sujit Kumar & Mr. Ashit Sen.
Mr. Udayan Mukherjee & Mrs. Rajasree Mukherjee with Film Stars Raj Babbar & Smita Patil. 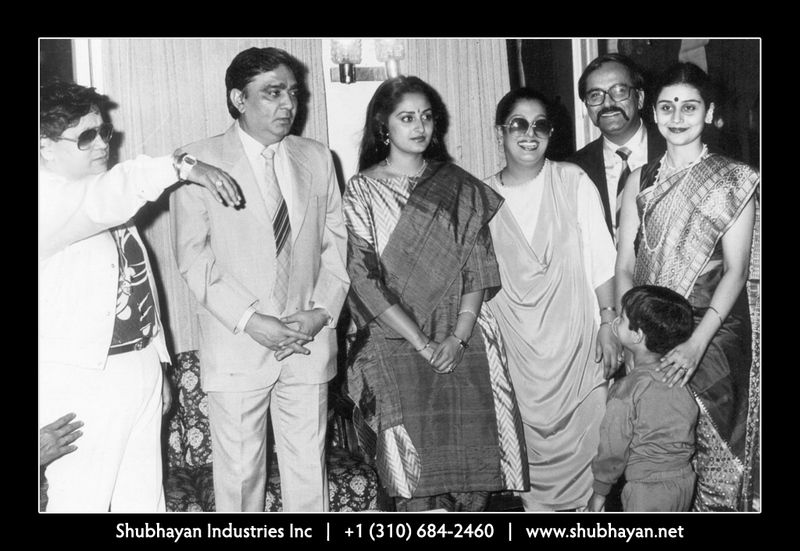 Mr. Udayan Mukherjee & Mrs. Rajasree Mukherjee with Film Star Jaya Pradha, Director Prakash Mehra and Music Director Bappi Lahiri. 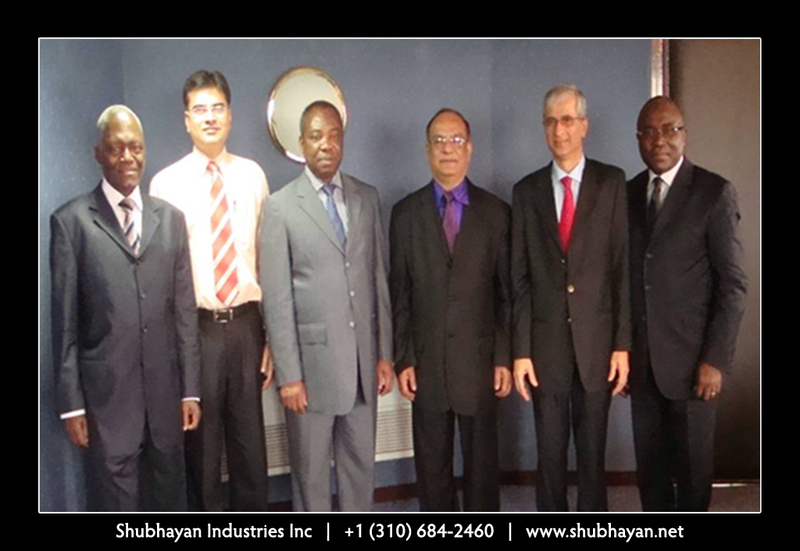 Mr. Udayan Mukherjee in Brazzaville with the Energy Minister of Republic of Congo. 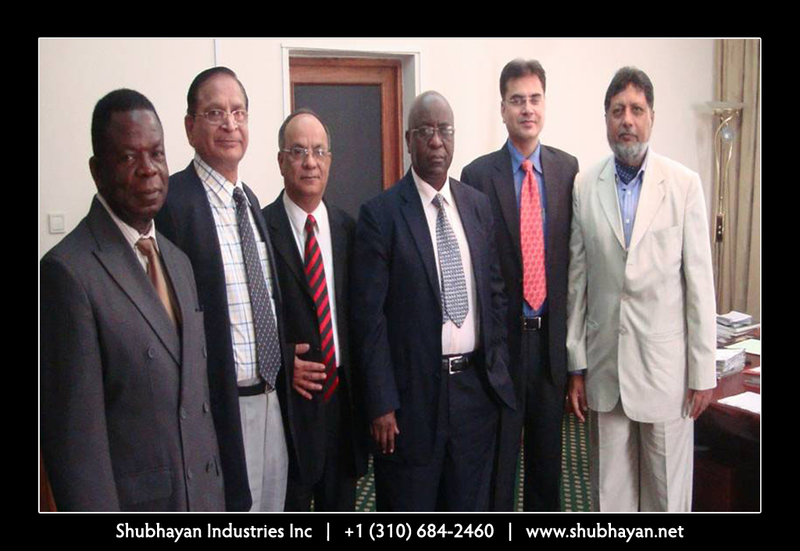 Mr. Udayan Mukherjee in Sudan for a meeting with the Governor of Khartoum to discuss Infrastructure Projects in Sudan. 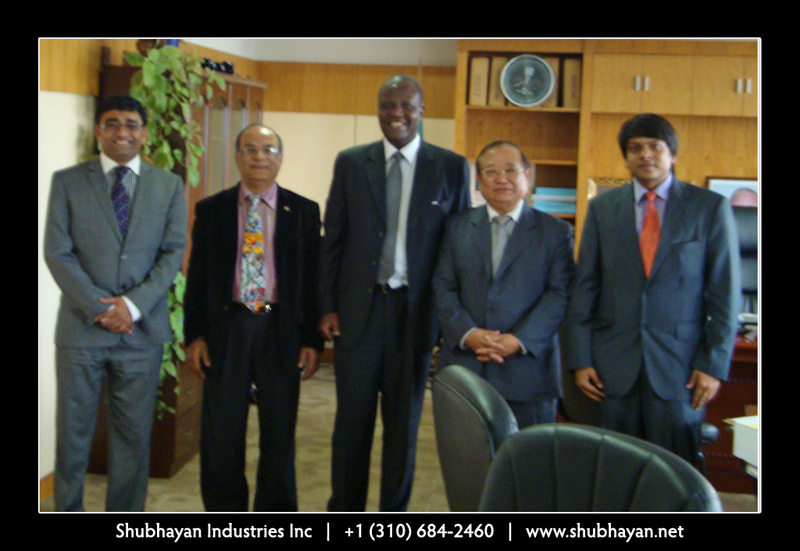 Mr Udayan Mukherjee General Manger of Sudan Railways. 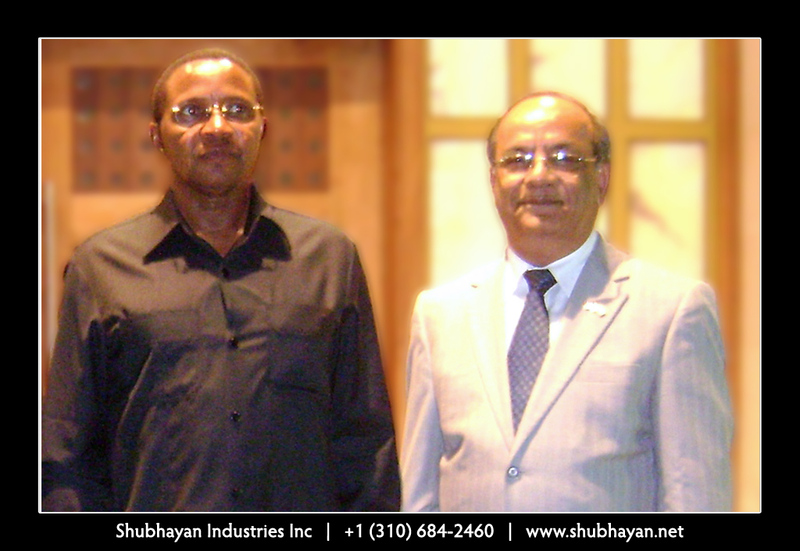 With former President of Tanzania H.E. Ali Hasan Mwini. 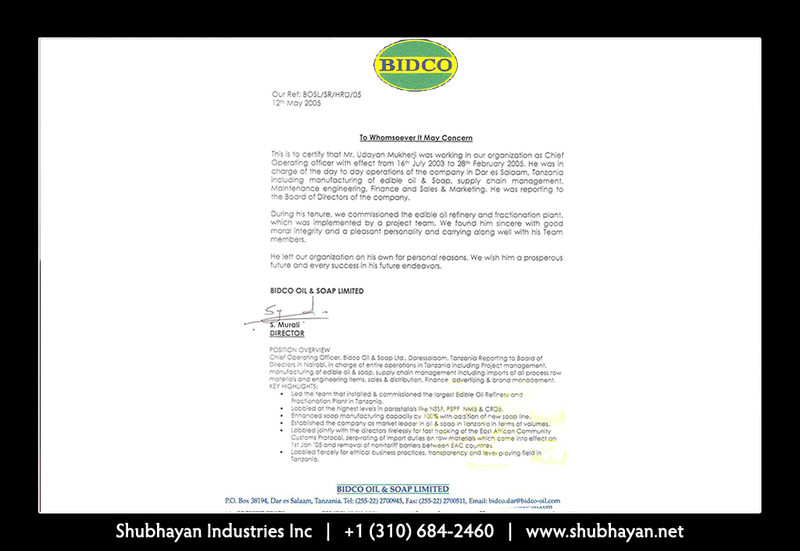 Bisco Oil and Soap Limited certificate.